Save small for big results. Round Up Savings takes the guesswork out of saving by automatically making a deposit into your savings account each time you make a purchase with your debit card. Choose to round up your purchases to the nearest dollar and send the remaining change to your savings account, or choose other whole dollar amounts. NOTE: Round Up Savings will automatically disable if your account is too low as to avoid non-sufficient funds (NSF) fees. 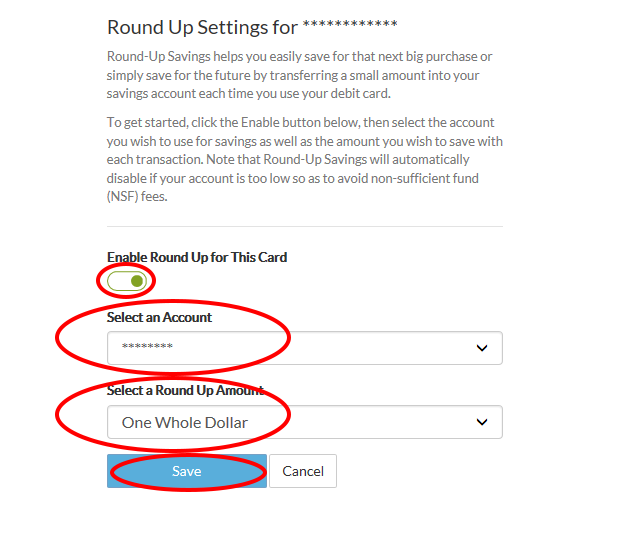 You can enable and disable Round Up Savings straight from your online banking account. This process will work on a desktop, computer, tablet, mobile, or through the mobile app. 1. 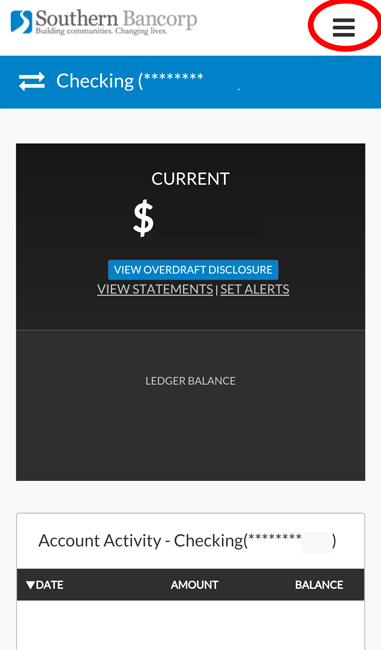 Once you have logged in to Online Banking, click on your name or the gear in the top right corner (on mobile it is the three horizontal lines in the top right corner). 2. Now that you are in the Customer Settings, navigate to Manage ATM/Debit Cards. Below brief descriptions of each feature, all your cards will be listed with feature buttons beside them. 3. 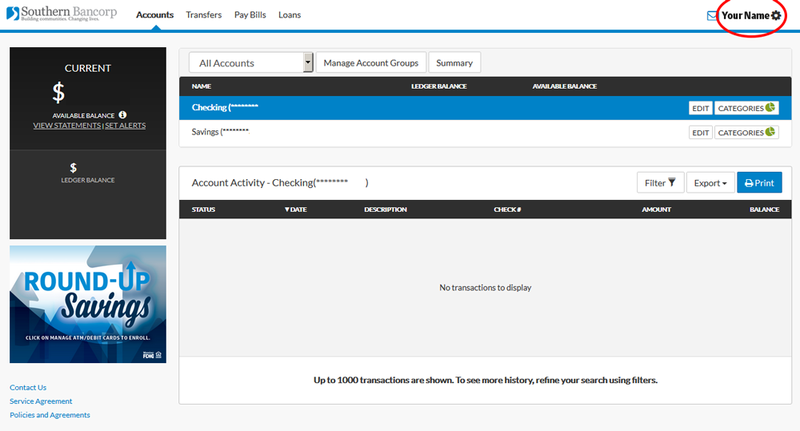 Click on the button called Manage Round Up Savings. 4. The setting for this card’s Round Up Savings will appear. Click the Enable toggle to get started. 5. Choose which account you’d like the extra savings to go into in Select an Account. 6. Select the Round Up Amount helps you choose which amount you’d like to transfer to your savings account. 7. Click Save when you have selected the correct settings. 8. You’re finished! Savings will start immediately. 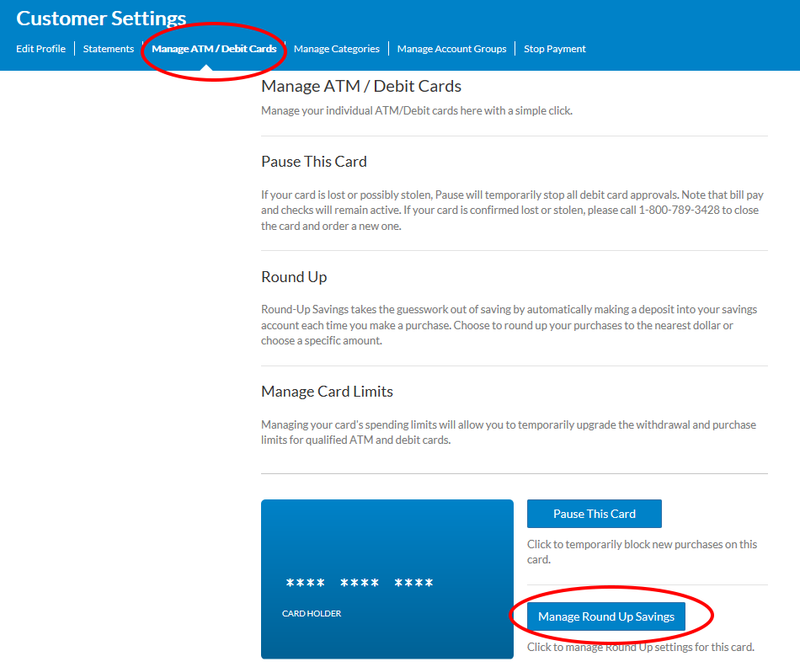 Feel free to navigate back to Manage ATM/Debit Cards page at any time to disable it or change to a different amount.